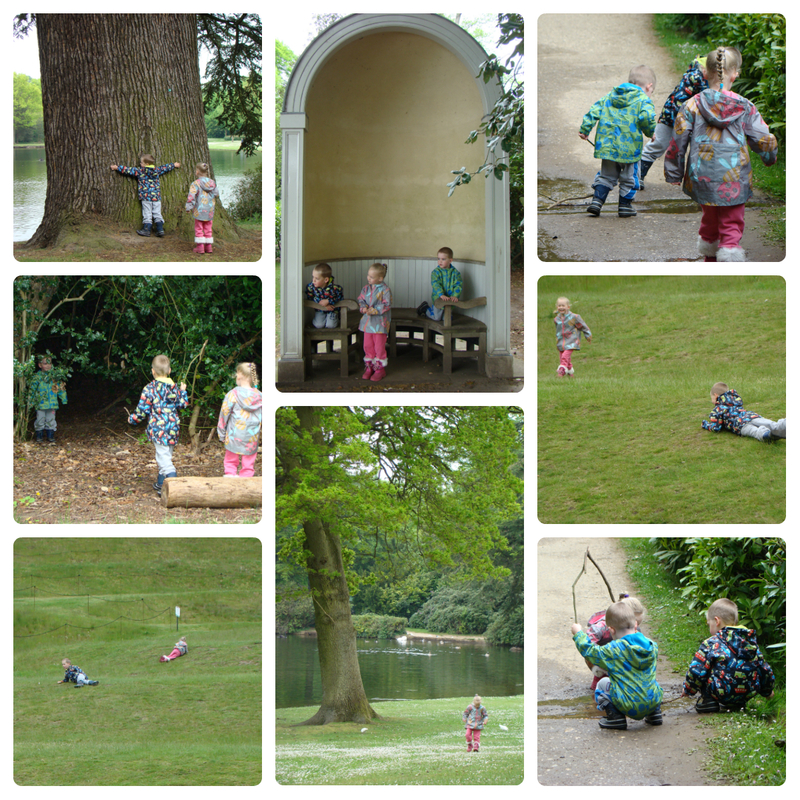 After another very lazy morning this morning – I hardly saw the big 2 as they were playing LEGO upstairs – we had an afternoon outdoors at our local Pick Your Own farm and then Claremont Landscape Garden, another National Trust property, 5 minutes away from the farm. I say local, but Garsons Farm is around 30 minutes away from us by car. I love it there though so try and go as regularly as possible during the time it is open. It opened, for the first time this year, last Friday for Asparagus picking and I have been more than keen to go but after only 2 days, the fields were closed again for regrowth. They opened them again today and I didn’t want to miss out this time! The fruit and veg we have picked in the last 2 years has always been delicious and there is nothing better than field to plate in just a few hours! 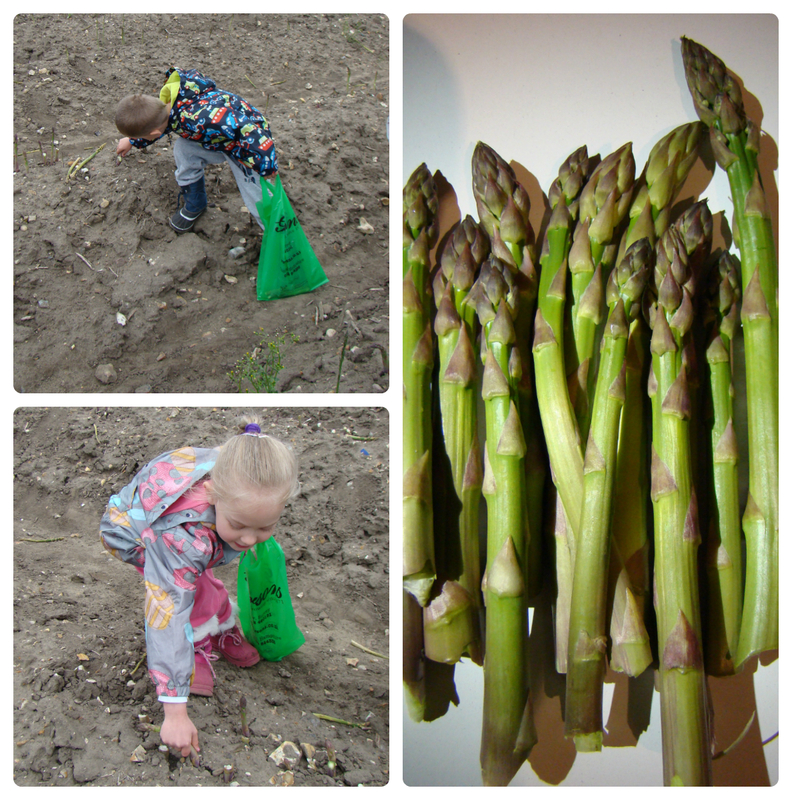 Initially the kids weren’t keen on picking the asparagus, which is why I said we’d go to Claremont afterwards, but once we got there they loved it and I’m sure we picked far more asparagus than we needed! Once we had our asparagus we drove over to Claremont. I knew it would be beautiful at this time of year and I wasn’t disappointed. The bluebells are stunning and the Rhododendrons are starting to open in places. 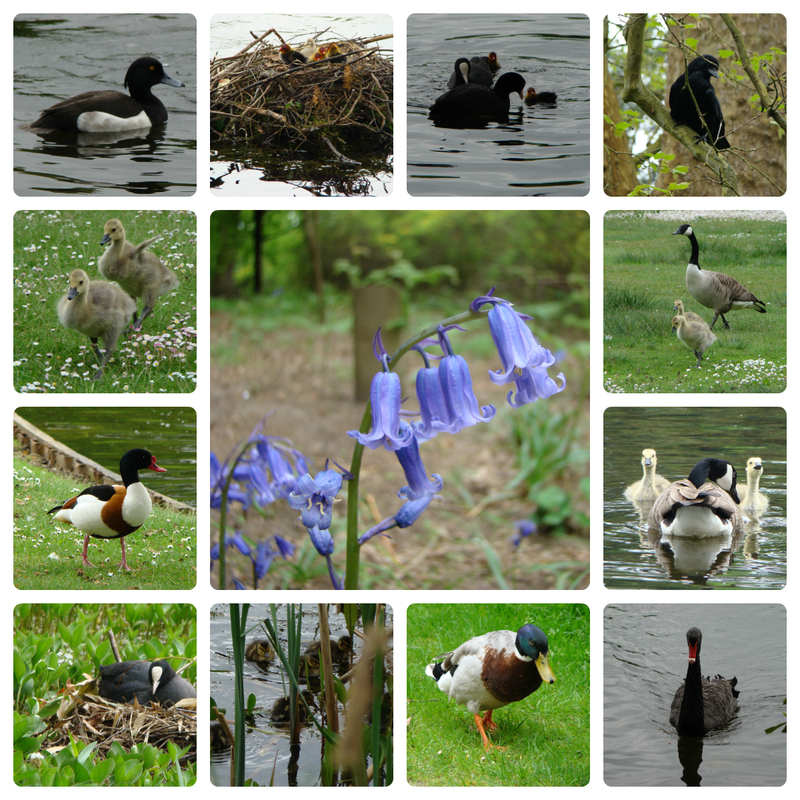 It is also teeming with new life and as we walked round the lake we saw goslings, ducklings and coot chicks. We also saw a Tufted Duck, a Shelduck and the resident Black Swan. While I was busy taking pictures (!) the kids had a great time exploring. They ran up and rolled down the mound, collected feathers and sticks, found a “secret cave” in the bushes and splashed in puddles. They loved seeing all the baby animals but weren’t that keen on the hissing geese when they got too close! Finally we walked round to the play area, which is also fantastic! 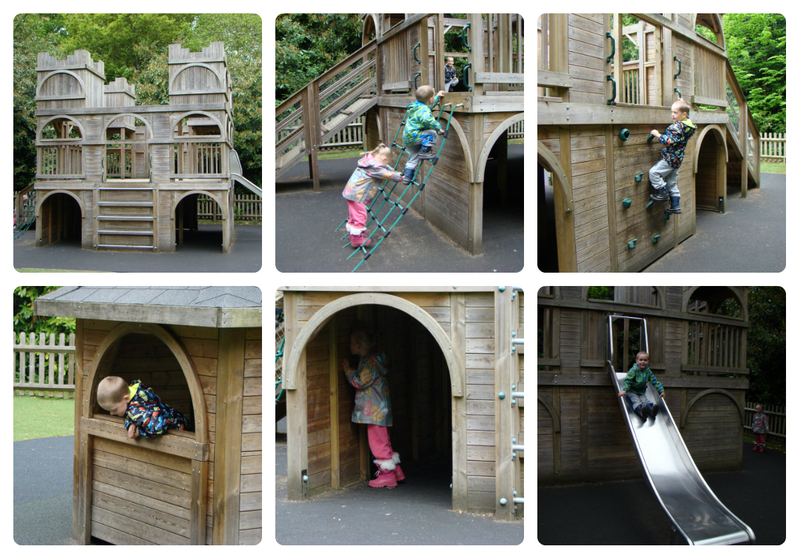 Inspired by the history of Claremont the play area offers a modern take on several features of the garden and includes a castle with ladders, a climbing wall and slide, a playhouse and a bridge. The kids loved it! Today we only walked around the lake and I know there is much more to discover at Claremont. Thomas declared it his “favourite place” as we walked back to the car! We will definitely be going back soon. Looks like a great day out, I can’t believe that is all walking distance of where we used to live and I never visited! I’m loving the the play castle. We love Claremont Landscape Gardens but haven’t been for a while, might have to brave the weather and go this week as half term! Never heard of Garsons before but sounds like a great place, if it hasn’t closed again for re-growth will try to check it out too. You can check Garsons online before you go. They update the PYO availability daily. I know they were closed today (I was wondering about going again as I want to make more soup!) but hopefully they’ll be open by Thursday or Friday.